The York 15kg (33lbs) Pro-Style dumbbell is perfect for building strength and toning muscles. It features a very solid steel handle bar with chrome plated finish for enhanced durability. Its knurled textured surface guarantees great balance and firm grip, while virgin rubber ends ensure top quality. The dumbbell is sold individually. 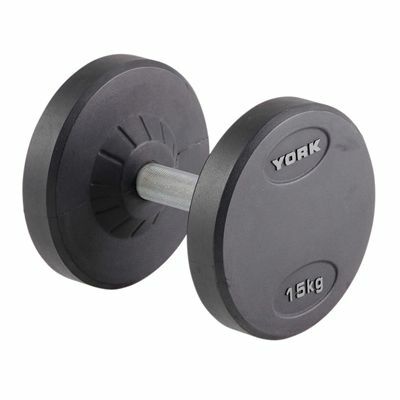 for submitting product review about York 15kg Pro-Style Dumbbell.